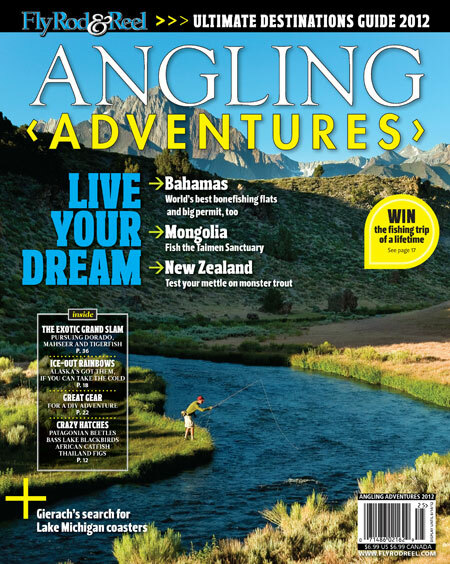 Every year, Fly Rod & Reel magazine releases their Angling Adventures issue of the publication. A special issue that spends the summer on the newsstands, the Angling Adventures issue is packed with great stories and photography from all over the world. Like previous years, this year’s issue features a variety of adventures from cold-weather angling in Alaska to tigerfish in Africa to permit pursuits at the Palometa Club in Mexico. These are just several of the offerings of the special issue. The Angling Adventures issue of Fly Rod & Reel is rich with content and comes with strong recommendations. To check out the issue, please click here. Previous Poll: Any Big Do-It–Yourself Fly Fishing Trips?